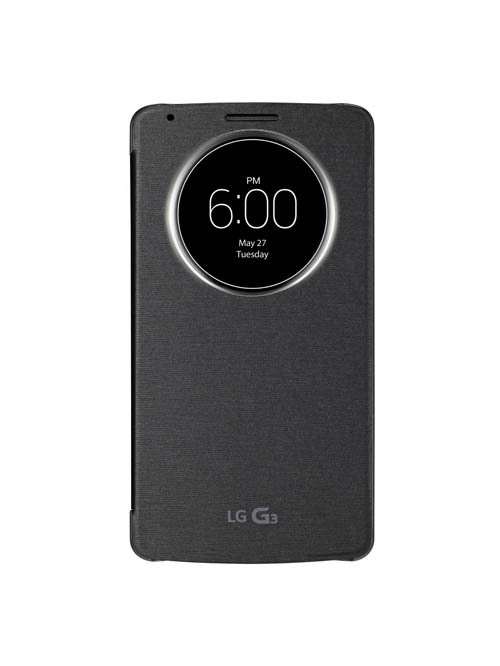 SEOUL, May 22, 2014 — When LG Electronics (LG) officially unveils the long awaited LG G3 next week, it will also introduce another product which was designed to make the G3 infinitely more useful, the QuickCircleTM Case. 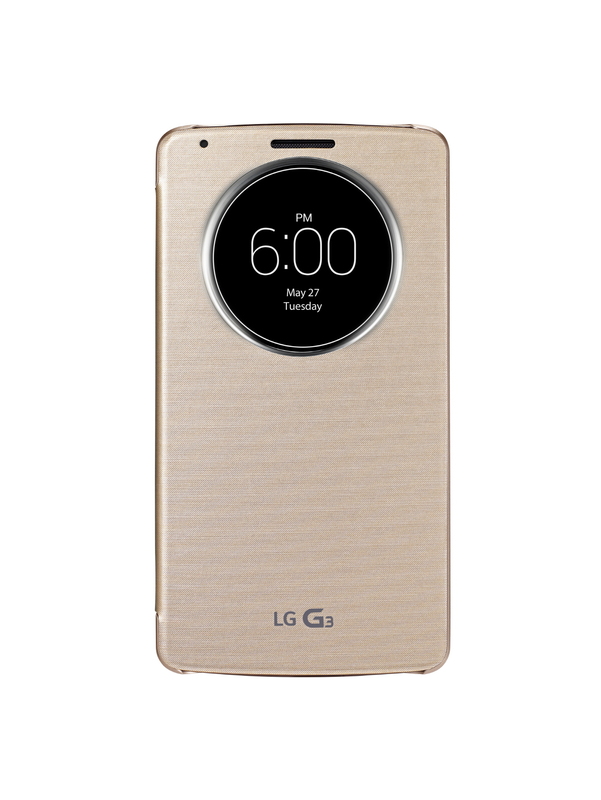 The folder-style case lets users enjoy various features of their G3 without ever having to open the cover. 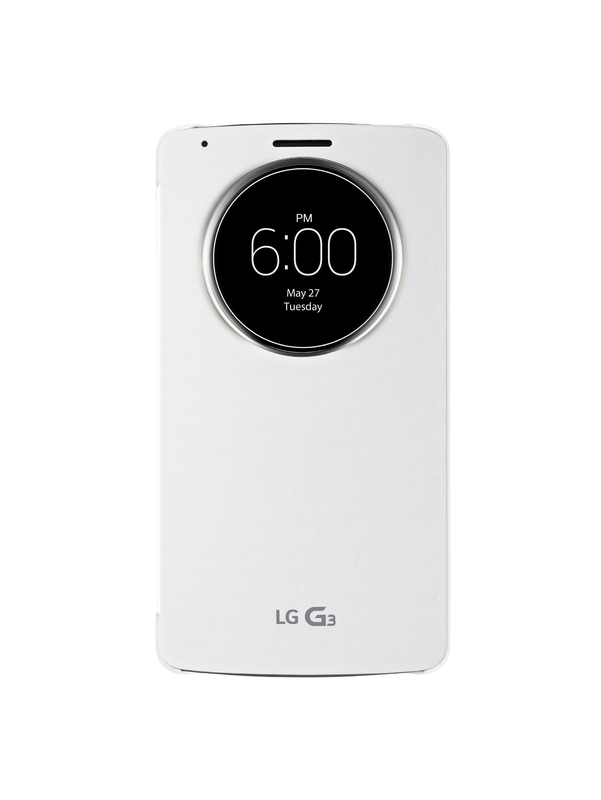 Users can check the time, place calls, send text messages, take photos, listen to music or get an update of their health directly from the circular window. More stylish than traditional rectangular-windowed smartphone cases, LG’s QuickCircleTM Case comes in five eye-catching colors: Metallic Black, Silk White, Shine Gold, Aqua Mint, Indian Pink. The case is designed to protect the side edges of the G3 and provide the best “grip-ability” while maintaining the G3’s original sleek lines. To accentuate the beauty of its circular design language, Smart Lighting emits a soft, white, circular glow inside the window whenever the case is opened/closed or a call/text message is received. Wireless charging compatible with the Qi interface standard is also possible with the QuickCircleTM Case, adding more convenience and portability. A software development kit (SDK) will be available next month to allow developers to customize their LG G3 smartphones to perform customized functions with the QuickCircleTM Case. * LG G3 QuickCircle™ Case preview video can be seen at www.youtube.com/watch?v=AVtZAPjOcBI.